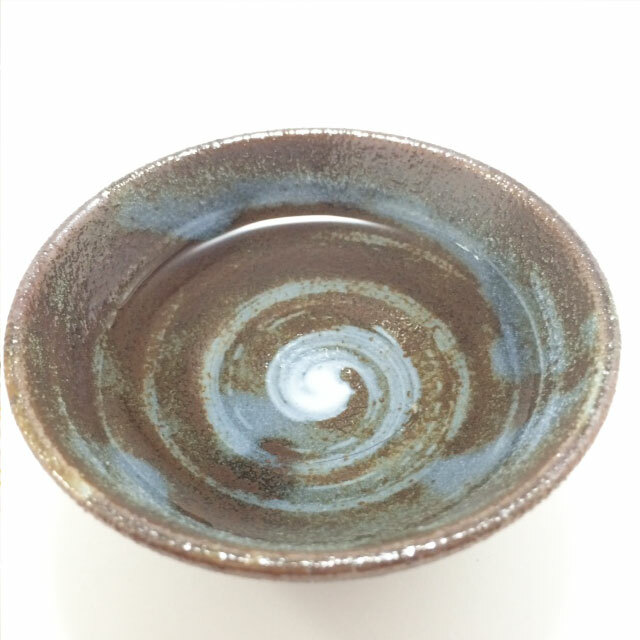 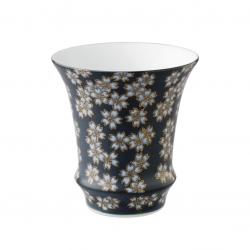 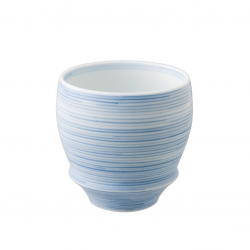 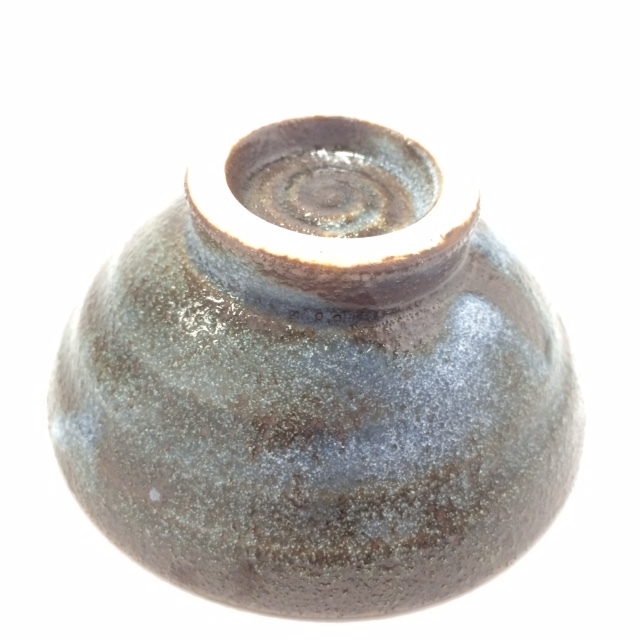 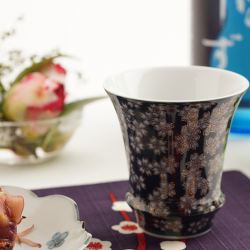 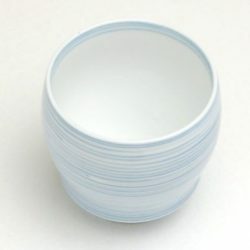 Look inside of this grey Sake cup, and you’ll be able to see the brushstrokes swirling into center of the cup. 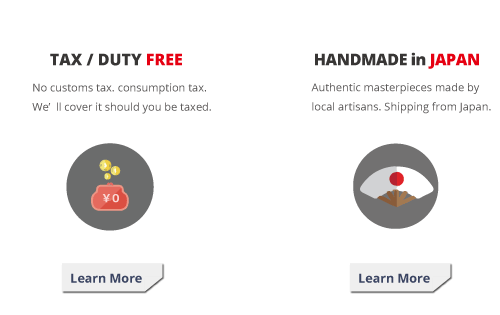 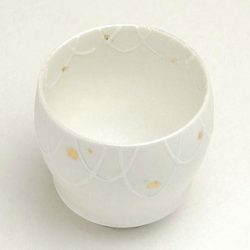 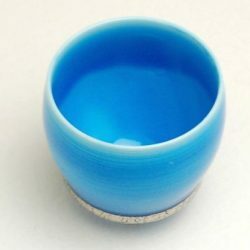 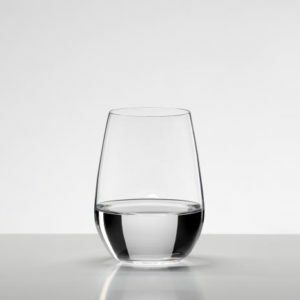 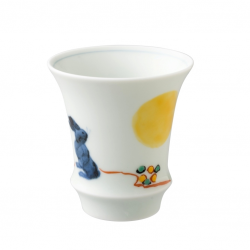 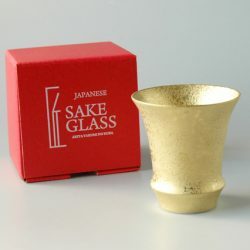 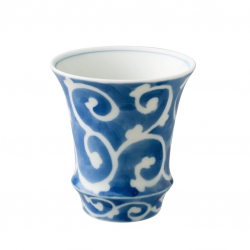 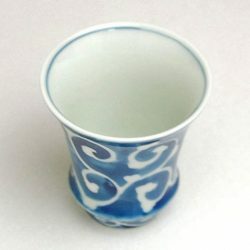 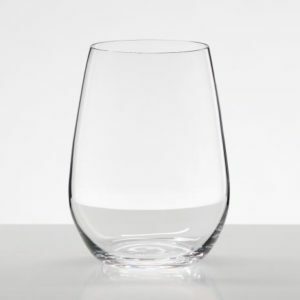 Sakazuki means a flat Sake cup in Japanese. 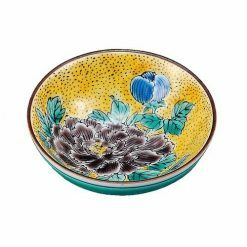 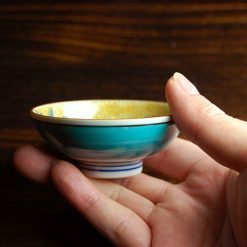 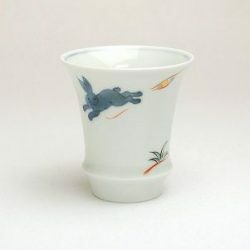 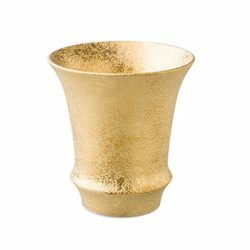 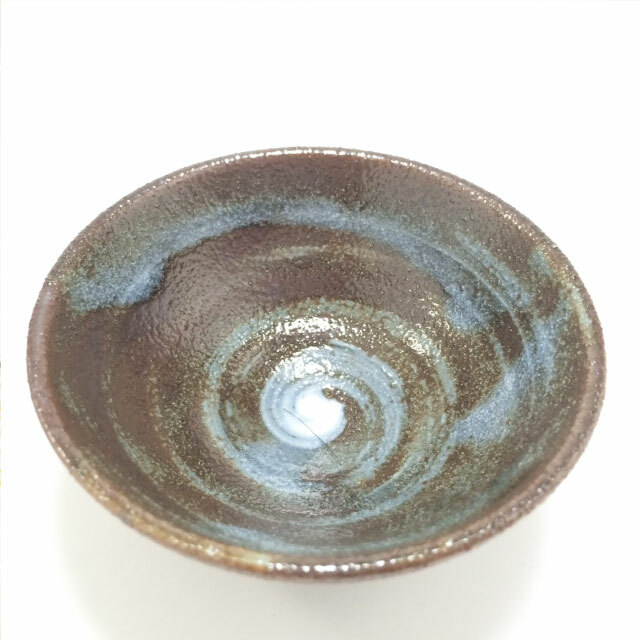 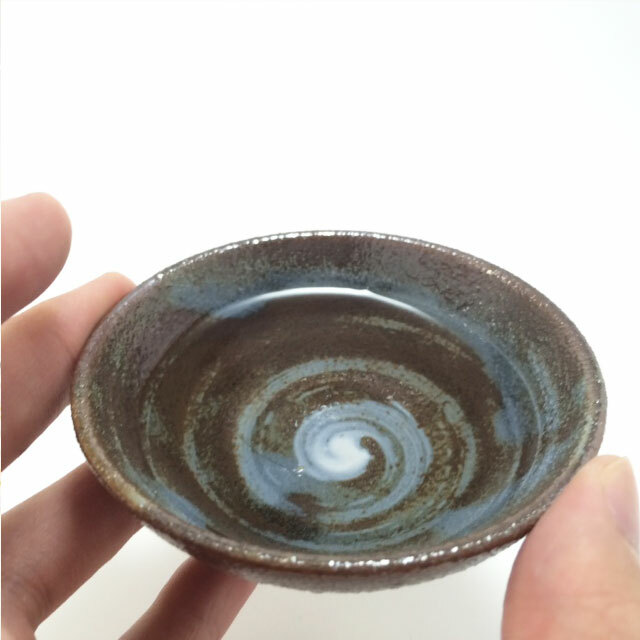 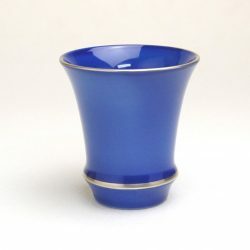 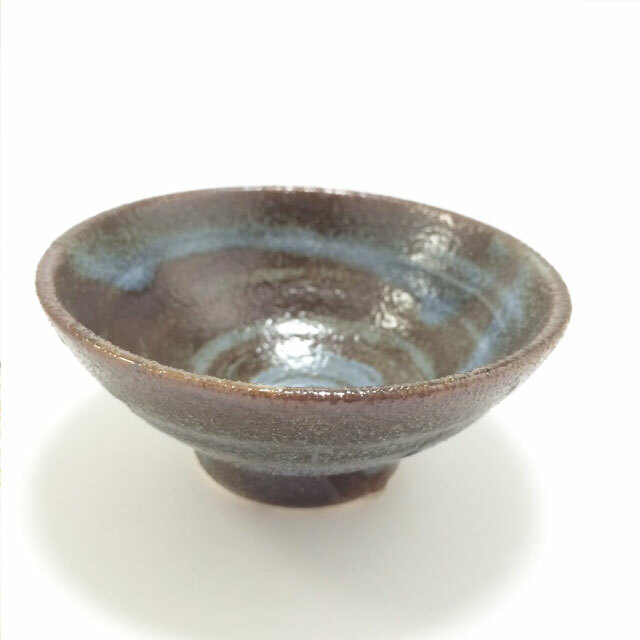 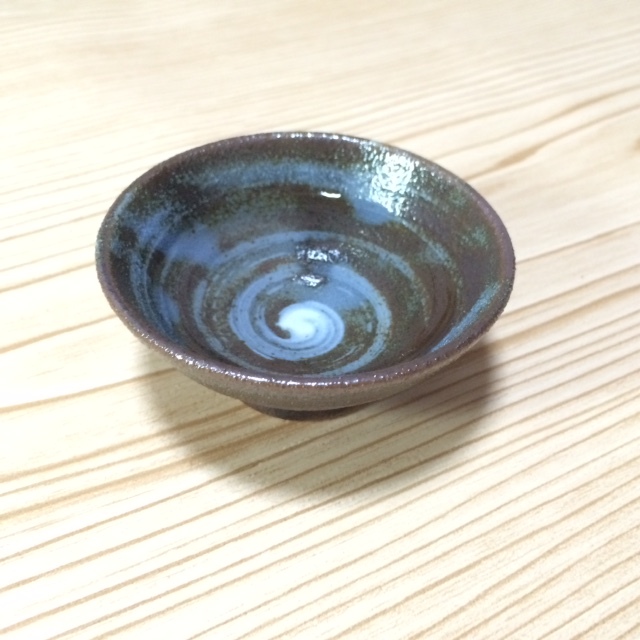 This green Sakazuki cup is very light (around 54g or 1.9oz), very easy to hold and a tiny piece so that you may want to carry it in your pocket or in your bag for dinner (just an idea).